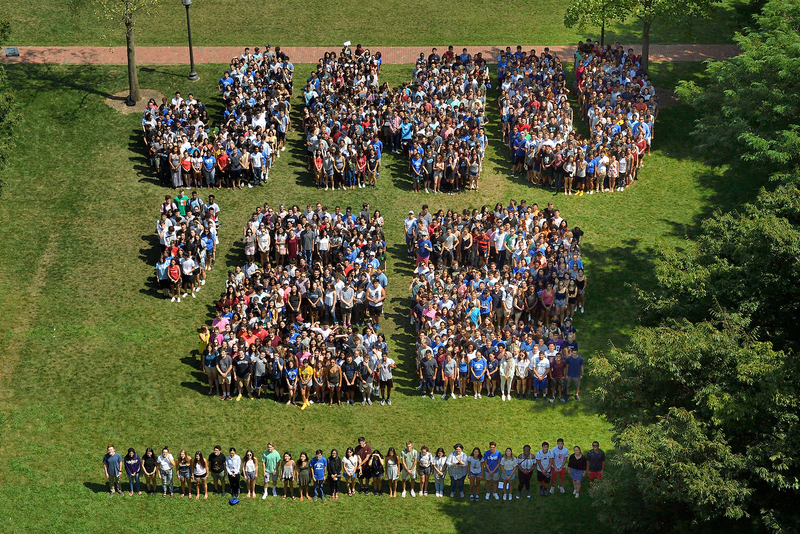 Annual class photo sponsored by the Johns Hopkins Alumni Association. See right sidebar to download! Contact the Alumni Association at alumni@jhu.edu. You don’t have to wait until graduation day to see what the Johns Hopkins Alumni Association has to offer. As a student, you are entitled to a number of exclusive — and totally free — benefits ranging from access to the Hopkins-only networking site, GoHopOnline, to discounts on Baltimore area restaurants. Check out the links below to see how the Alumni Association is working to make the most of your time at Hopkins. 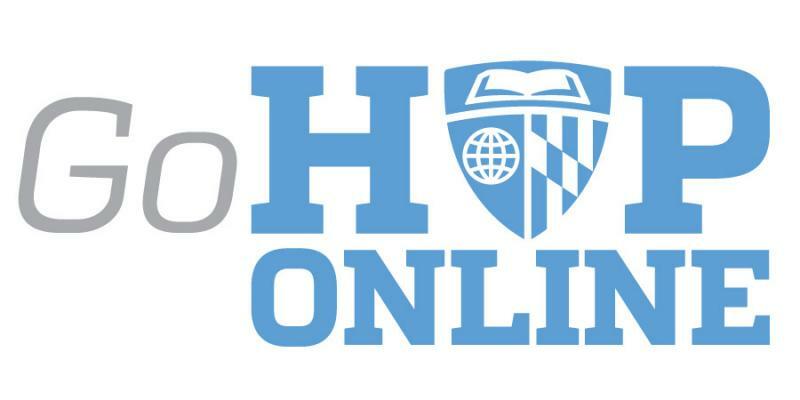 GoHopOnline.com replaces JHU Connect with a secure space that links alumni with the trusted Johns Hopkins University community. Easy sign-on and sync up with Facebook and LinkedIn lets them quickly connect with the people they need to grow and refine their personal and professional networks. 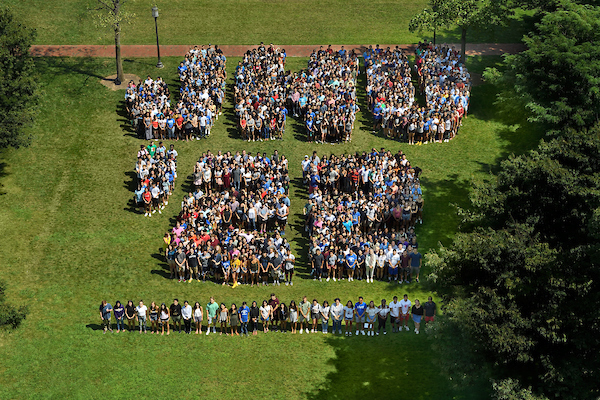 Instagram and Twitter feeds keep alumni updated on Hopkins news, chapters, resources, programs, and more. Activate a profile today at GoHopOnline.com. Want to share the latest news and events going on at Hopkins to your friends, followers, and colleagues on Facebook, Twitter, and LinkedIn? Become a Hopkins Promoter and help spread the word. Each time you share content, you’ll earn points for more chances to win prizes. 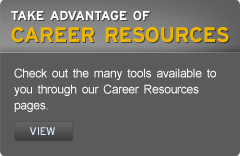 Learn more and sign up at alumnijhu.socialtoaster.com. All members of the Johns Hopkins community are welcome to join. Johns Hopkins students, depending on their number of credits completed, are eligible to purchase the Official Johns Hopkins University Ring. Learn about the history of the ring, how to purchase one, and the annual ring presentation ceremony. The Alumni Association provides over $67,000 annually for student groups and student volunteer experiences at all nine divisions of the university. This year's application cycle is now over, but we look forward to hearing from new applicants next fall! Want to explore Baltimore without burning a hole in your wallet? By showing your alumni, student or faculty/staff ID at select vendors, you can receive discounts and special deals, just for being a Blue Jay! Check out our list of participating vendors to start saving. Alumni Student Ambassadors are a diverse and select group of undergraduate students who serve as important connectors between current students and alumni. Throughout the year, they serve as student representatives at a variety of events and meetings with external and internal constituents.